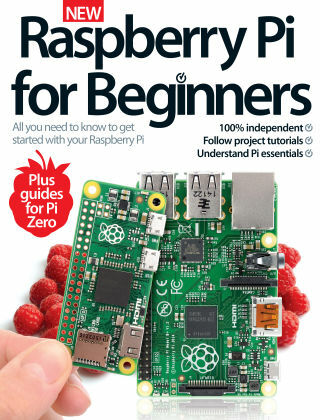 With Readly you can read Raspberry Pi For Beginners and thousands of other magazines on your tablet and smartphone. Get access to all with just one subscription. New releases and back issues – all included. During 2015, the latest – and smallest – Raspberry Pi device was released, the Pi Zero, costing under a fiver, and smaller than your bankcard. It was truly one of the most innovative products released, and has begun to change the front of Pi programming. This book will guide you through selecting the best model for you, setting up your new device and taking your first steps with your new gadget. Once you have mastered the basics, you can sink your teeth into fun practical projects and learn about Python and Scratch programming. Featuring: The basics - Select the right model for you, navigate your new gadget and install the latest OSs. Projects - Make the most of your Raspberry Pi and put your skills into practice with practical projects. Programming - Master the basics of Scratch and Python by learning the jargon and building sample games. Troubleshooting, FAQs & glossary - Fix common problems for hardware and software, and use the glossary and FAQs as reference.